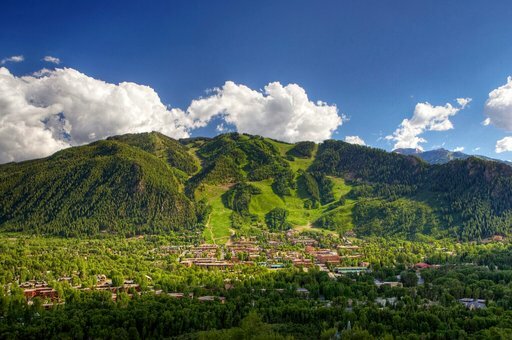 A group of government, not-for-profit and business leaders from Park City in early September plans to visit the Roaring Fork Valley in Colorado, a trip that is expected to involve a close look at Aspen as well as nearby communities that are heavily influenced by one of Park City’s famous mountain resort competitors. The annual City Tour is scheduled to run from Sept. 7 until Sept. 11, a Wednesday through Sunday. The City Tour takes groups to other mountain resorts and larger cities each fall in an effort to learn about the mechanics of the other communities. The organizers have long said a City Tour provides valuable information about Park City’s competitors and offers an opportunity to learn of programs, policies and public projects that could be instituted locally. The class of the Leadership Park City training program will also attend. The Roaring Fork Valley, anchored by Aspen, has been of interest to Park City for years. 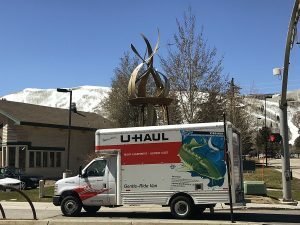 Park City and Aspen have numerous similarities as mountain resorts sharing issues such as housing, transportation and the intricacies of a tourism-heavy economy. The trip also includes the communities of Snowmass Village, Basalt and Carbondale on the itinerary. There is a stop scheduled in Vernal, a city in the Uinta Basin of Utah. Some of the topics the City Tour-goers will discuss with a slate of speakers from Aspen include land conservation, transportation and the arts. Rademan said, as an example, Aspen has pursued work force or otherwise restricted housing more aggressively than Park City has. He said Aspen leaders long ago committed to ensuring the availability of housing options for the work force, indicating Aspen’s remote location was a factor in the decisions then. Rademan said some of the discussion could center on the difficult choices a government makes when it weighs the possibility of building restricted housing somewhere against the prospects of preserving the land as undeveloped acreage. Park City has made similar decisions over the years. Rademan said the group will delve into transportation systems in the Roaring Fork Valley. The transit system there runs along a state highway that serves as the entryway to Aspen. Much of the work force lives in communities on the state highway, and it also is heavily traveled by Aspen visitors. Rademan said the officials in Aspen could discuss parking lots meant to intercept drivers prior to their arrival in the community’s core. The City Tour itinerary includes presentations with a roster of Aspen elected officials and staffers. There is also a session planned with a representative of Aspen Skiing Company, the firm that owns the four mountain resorts in the Aspen area. The itinerary, meanwhile, offers sessions for smaller groups, including an opportunity for a walking tour of downtown Aspen, a tour of the transit system and a tour of Aspen’s affordable housing. “There’s a lot of parallels between our communities,” Steve Skadron, the two-term mayor of Aspen, said. Skadron, who owns an advertising and marketing firm in Aspen, said officials there will discuss successes in environmental programs, the transit system and housing. 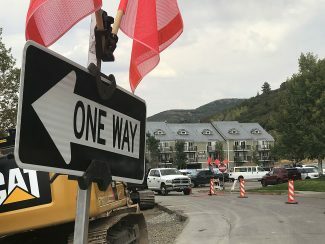 They will describe “balancing our local economy between resort and community.” Skadron said other mountain resorts do not wish to resemble Aspen “because of the reputation for glitz and glamour,” but they then want to use the city as a model as they consider their own futures. Skadron is scheduled to greet the travelers and participate in some City Tour sessions. One of the other City Tour days includes a series of meetings with officials in the communities of Snowmass Village, Basalt and Carbondale. Lots of Aspen-area workers have moved to Basalt and Carbondale seeking lower housing costs. “How well are you working together with Aspen,” Rademan said, describing one of the questions the City Tour wants to discuss with officials in Basalt and Carbondale. The group is scheduled to leave Colorado on the Saturday of the tour on its way to Vernal. Meetings are planned with Vernal officials Saturday evening. The trip returns to Park City the next day. Rademan said the tour-goers will learn about a boom-bust cycle in Vernal that is dependent on the energy industry. The City Tour roster includes 72 people. The cost is estimated at $800 per person. Taxpayers typically fund the trips of government officials. Each of the five members of the Park City Council are scheduled to attend while two members of the Summit County Council — Chris Robinson and Kim Carson — are on the roster. City Hall staffers representing a diverse group of departments are also set to travel to Colorado. Sun Valley, Idaho, and Jackson Hole, Wyo. Vail and Steamboat Springs, Colo.
Moab, Utah, and Telluride, Colo.
Breckenridge, Eagle County and Grand Junction, Colo.
Albuquerque, Santa Fe and Taos, N.M.